Viezu has long been associated with the development of high performance tuning services and software, Lamborghini tuning both for road use and motorsport is one of our preferred specialist subjects, this week we have been able to take the opportunity to develop a new range of Lamborghini Aventador tuning services, with full custom access to the Aventador’ s ECU files, and the luxury of having a 2016 Aventador to perfect our tuning, there was much work to be done. The mission; To develop, supply and fit the finest Lamborghini Aventador tuning package, to include a titanium Aventador exhaust system, air filters, De-cat pipes and bespoke tuning software to deliver the very best, safe, reliable and effective performance upgrade package available for the Aventador – Mission Accepted! In partnership with VIP Design – the conversion and supercar tuning and styling division, Viezu has developed an Avendator upgraded engine management software and parts package that will increase the Lamborghini’s power by 50bhp and add another 50Nm of torque. 0-60 time is also reduced to 2.7seconds! 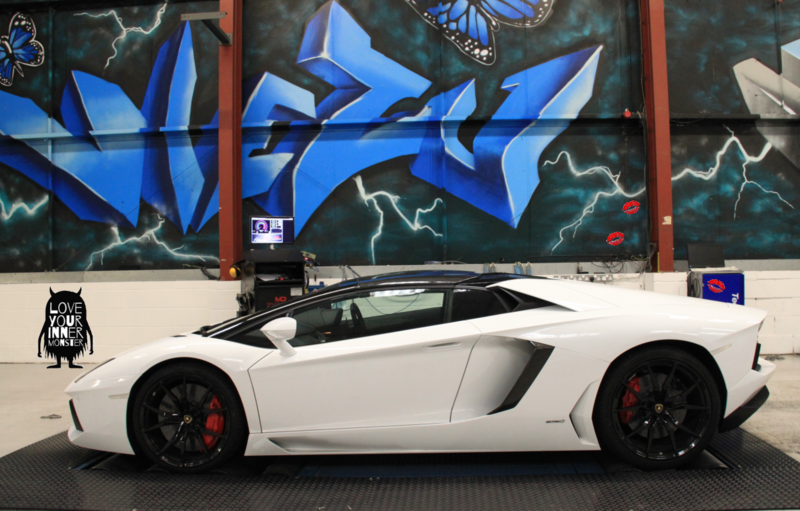 The Viezu Lamborghini Aventador tuning is carried out at the Viezu research center just outside Stratford Upon Avon, here Viezu operate a state of the art rolling road facility, testing and developing the very finest tuning software available. Lamborghini Aventador tuning of course includes before and after rolling road testing, emission testing, as well as the supply and fitting of performance parts, exhaust systems and more. 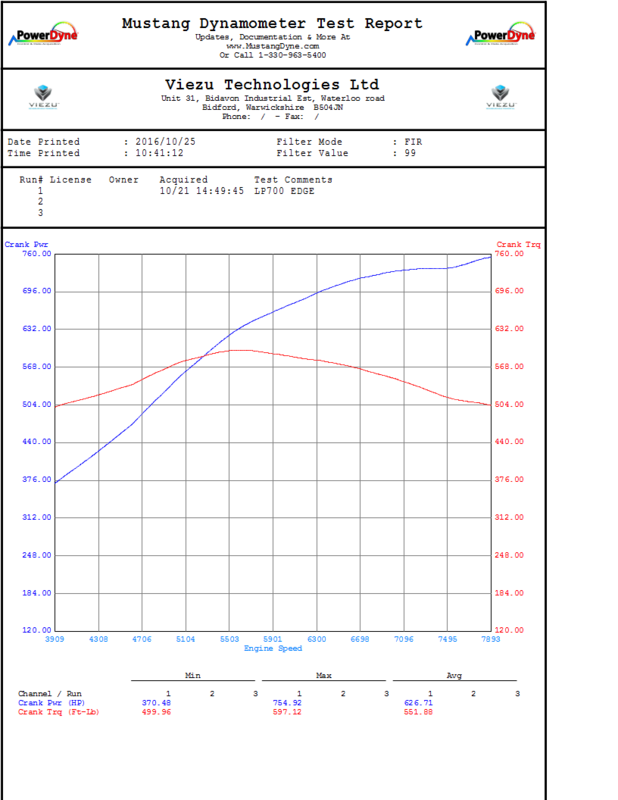 Rolling road graphs and full technical detail and talk through the changes made by the technical team are of course included as are photos and video of the Aventador tuning process if required.